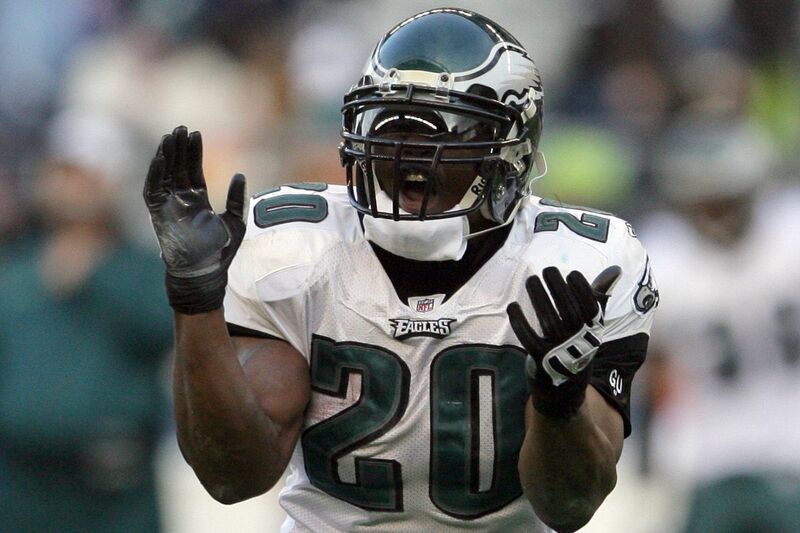 Former Eagles safety Brian Dawkins will officially join the Pro Football Hall of Fame on Saturday. Safety Brian Dawkins will formally be inducted Saturday into the Pro Football Hall of Fame during an enshrinement ceremony scheduled to start at 7 p.m. in Canton, Ohio. Dawkins is part of the class of 2018 that includes wide receiver Terrell Owens (more on him later), linebacker Ray Lewis, wide receiver Randy Moss, linebacker Brian Urlacher, linebacker Robert Brazile, guard Jerry Kramer, and contributor Bobby Beathard. The ceremony will start at 7 p.m. Saturday, Aug. 4, and is scheduled to last until 10 p.m. The entire ceremony will be broadcast live on both ESPN and the NFL Network. Cable subscribers can also stream live coverage of the event on both ESPN+ and the NFL app. Trey Wingo, co-host of ESPN Radio's Golic and Wingo, will once again anchor ESPN's coverage. He'll be joined by senior NFL insider Chris Mortensen and NFL analyst and three-time Super Bowl champion Darren Woodson. Returning for his 19th year as the Hall of Fame's master of ceremony is Chris Berman. The NFL Network's live coverage begins at 6 p.m. with a Hall of Fame Saturday special hosted by Rich Eisen and former NFL head coach Steve Mariucci. The two will be joined by Hall of Famers Michael Irvin, Kurt Warner, LaDainian Tomlinson, and Terrell Davis, as well as analyst and former coach Brian Billick, who coached both Lewis and Moss. Eisen and Mariucci will remain to anchor the network's live coverage of the enshrinement ceremony at 7 p.m.
Dawkins is scheduled to be the fifth inductee to speak, so expect his portion to start somewhere in the bottom of the 8 p.m. hour. "They're encouraging enshrinees to keep it to 30 minutes," my colleague Paul Domowitch wrote on Twitter. "Dawk said yesterday that he's going to take some of T.O. 's allotted time." Dawkins chose Troy Vincent, his friend and longtime teammate, to present him for his enshrinement. Vincent, now the NFL's executive vice president of football operations, played 13 seasons alongside Dawkins in the Eagles' secondary. The two went into the team's Hall of Fame together in 2012. "Troy's been a big brother to me since I got to Philadelphia," Dawkins said recently. "He basically took me under his wing." What about Terrell Owens’ speech? Former Eagles wide receiver Terrell Owens is also being inducted into the Hall of Fame on Saturday, but he’s sitting out the ceremony. Owens followed through on his pledge to snub the Hall of Fame's induction ceremony. As a result, expect the former Eagles wide receiver to be barely mentioned Saturday night. Instead of joining his fellow inductees in Canton, Owens made his Hall of Fame induction speech at the University of Tennessee-Chattanooga, his alma mater, at 3:17 p.m. (Owens will be the 317th person inducted into the Hall of Fame). Owens speech, delivered at McKenzie Arena in Chattanooga (with a bucket of popcorn by his side), ran just over 39 minutes, according to CBS Sports' John Breech. He called Hall of Fame receiver Jerry Rice his "inspiration," claiming his former San Francisco 49ers teammate was "hands down the best receiver in the game." Owens also received a standing ovation when he told the crowd, "I'm a man of courage, courageous enough to choose Chattanooga over Canton."